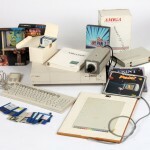 It was on July 24, 1985 that the Amiga 1000 computer had its debut at Lincoln Center in New York City. He began working with the computer as part of a live event touting its multimedia capabilities. 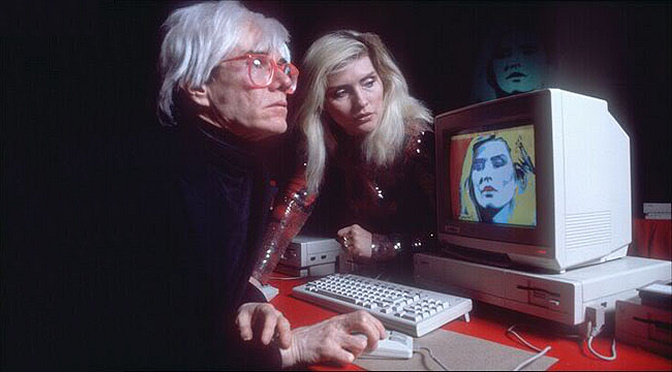 The demo involved Andy sitting down at the Amiga, then capturing and retouching a digital photo of ’80s pop-punk star Debbie Harry, who joined him on stage. 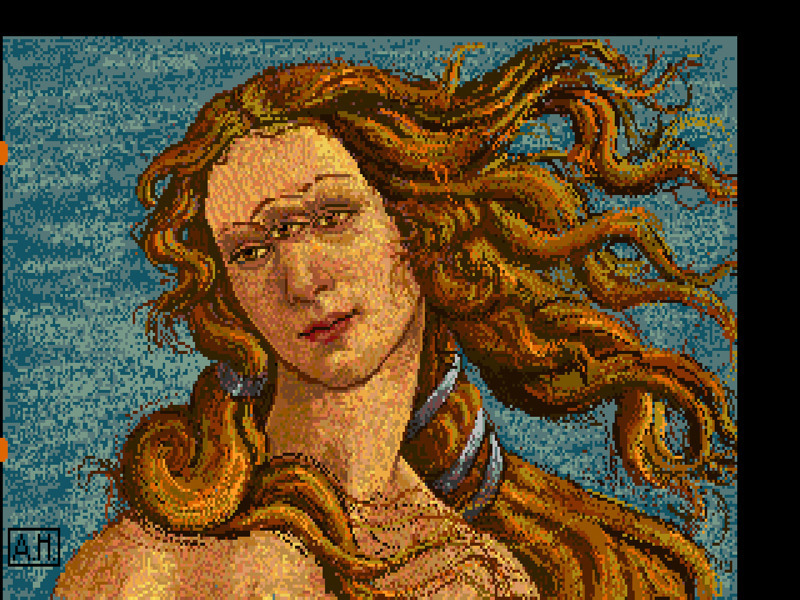 That particular image has been on display at the Andy Warhol Museum (AWM), but the rest of Warhol’s fledgling computer-based art from that time was spread across 41 floppies and remained unseen for decades. CMU Computer Club members determined that even reading the data from the diskettes entailed significant risk to the contents, and would require unusual tools and methodologies. 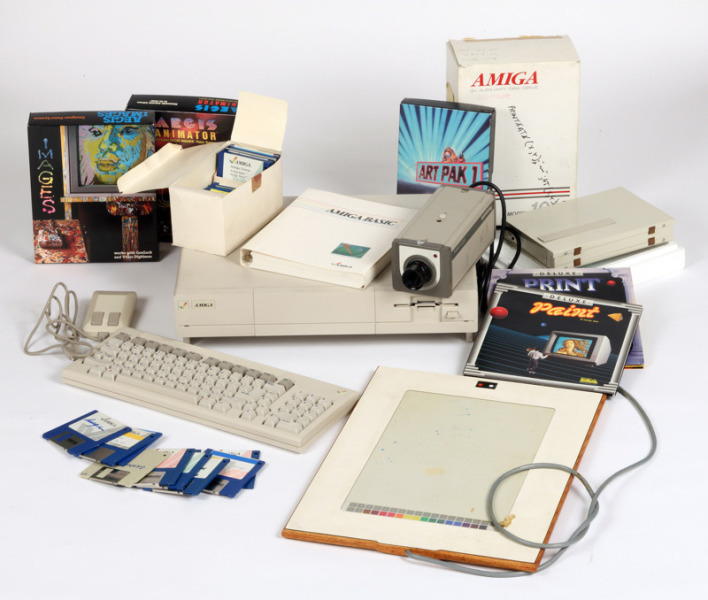 By February 2013, in collaboration with collections manager Amber Morgan and other AWM personnel, the Club had completed a plan for handling the delicate disk media, and gathered at The Andy Warhol Museum to see if any data could be extracted. 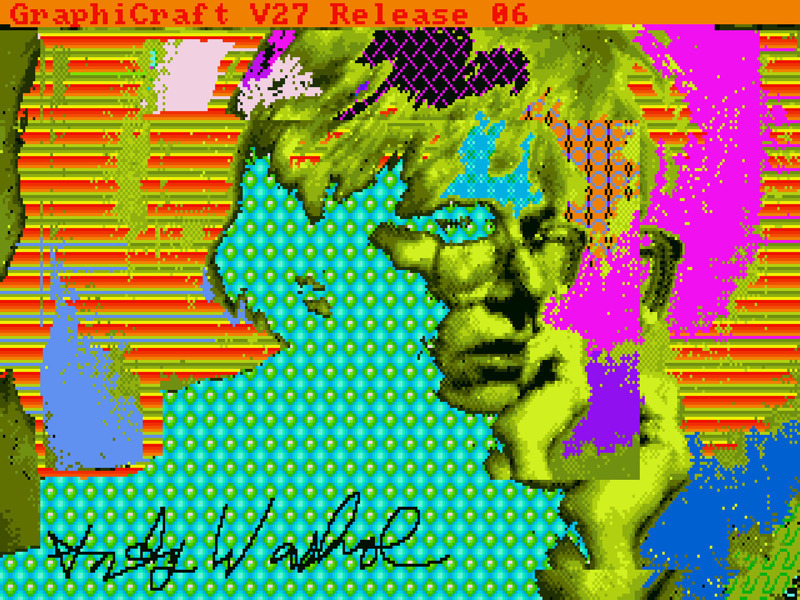 It was not known in advance whether any of Warhol’s imagery existed on the floppy disks—nearly all of which were system and application diskettes onto which, the team later discovered, Warhol had saved his own data. Reviewing the disks’ directory listings, the team’s initial excitement on seeing promising filenames like “campbells.pic” and “marilyn1.pic” quickly turned to dismay, when it emerged that the files were stored in a completely unknown file format, unrecognized by any utility. Soon afterwards, however, the Club’s forensics experts had reverse-engineered the unfamiliar format, unveiling 28 never-before-seen digital images that were judged to be in Warhol’s style by the AWM’s experts. 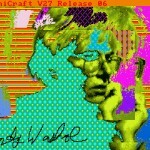 At least eleven of these images featured Warhol’s signature. 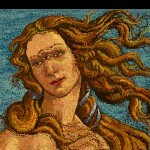 The images depict some of Warhol’s best-known subjects—Campbell’s® soup cans, Botticelli’s Venus, and self-portraiture, for example—articulated through uniquely digital processes such as pattern flood fills, palletized color, and copy-paste collage. 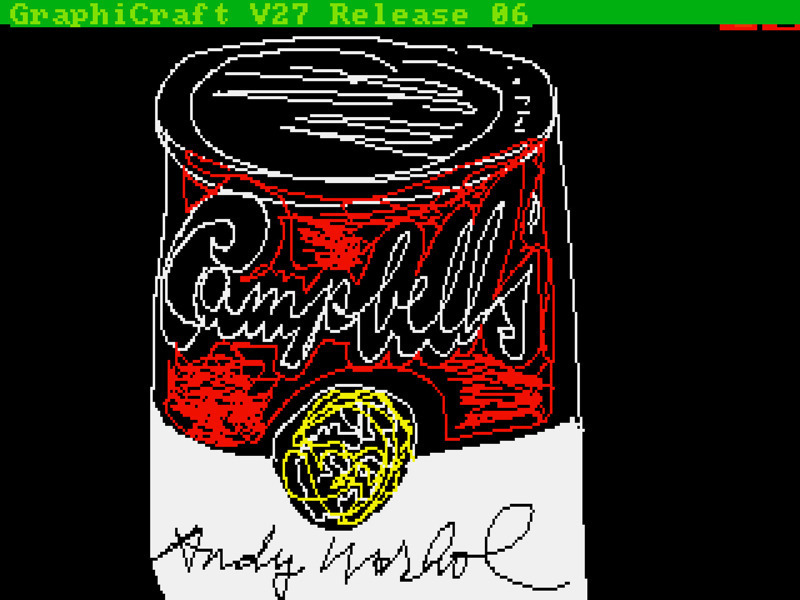 “What’s amazing is that by looking at these images, we can see how quickly Warhol seemed to intuit the essence of what it meant to express oneself, in what then was a brand-new medium: the digital” says Arcangel.